The last stop on the 2017 American Grown Field to Vase Dinner Tour was not only the perfect finale, it was among the tour’s most unique destinations. Over 150 people attended the last American Grown Field to Vase Dinner of 2017 at FernTrust, Inc. in Seville, Florida. Photo by Wings of Glory Photography. 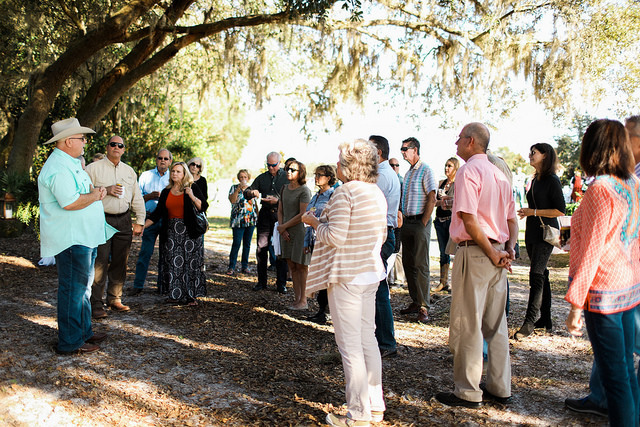 After all, how many people can say they’ve dined on a fern and foliage farm in the middle of the “Fern Capital of the World?” A sold-out crowd did just that Nov. 18 when the Field to Vase Dinner Tour came to FernTrust Inc. in Seville, Florida. FernTrust, a farm cooperative, is one of the most trusted foliage producers in the country. Guests learned all about the 126 varieties of best-in-class foliage and ferns grown by FernTrust during a tour with farmer David Register. Jana Register provided a tour of FernTrust’s packing house where she shared FernTrust’s many product lines including their patented ColorFresh program that extends vase life of foliage and greens through a unique color sealing process. Fern Farmer David Register gave guests a guided tour of FernTrust, sharing information about the wide variety of foliage grown on the property. Photo by Wings of Glory Photography. 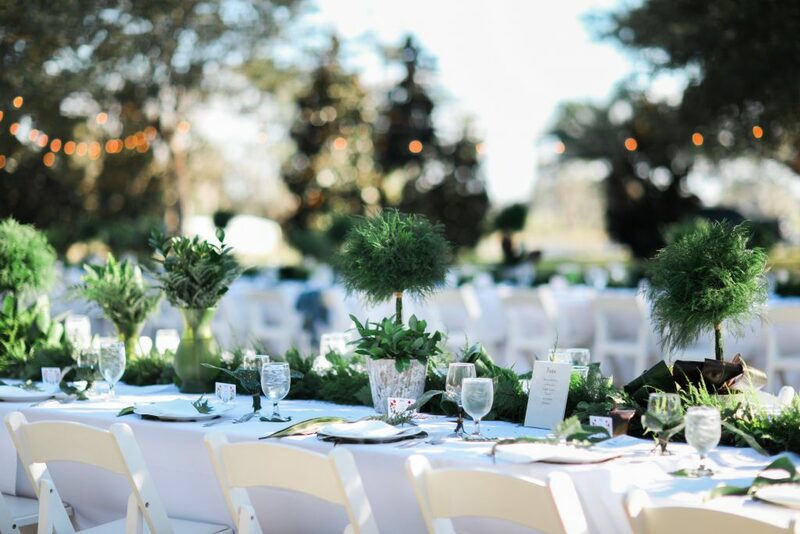 Following the farm tour, guests then dined at tables adorned with hundreds of feet of lush fern garland and topiaries created by floral designer J Schwanke. Tour sponsor Syndicate Sales provided all of the hard goods and vases that were incorporated into J’s beautiful tablescape design. Nearby, an all-foliage American Flag added to the evening’s wow factor, as did old oak trees dripping with Spanish moss and vistas that provided views of the beautiful ferns and an incredible sunset over the lake. 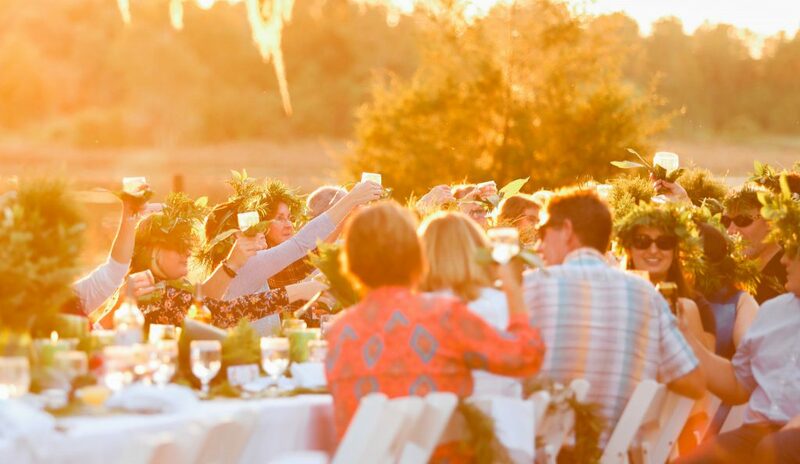 Field to Vase Dinner guests enjoying a beautiful November evening on the fern farm in Florida. Photo by Wings of Glory Photography. Chef Justin Timineri of Fresh From Florida created a wonderful Floridian themed menu and Joe Hearn and his team from Joe Hearn Events did an outstanding job managing all of the event’s special touches for this floral filled event. 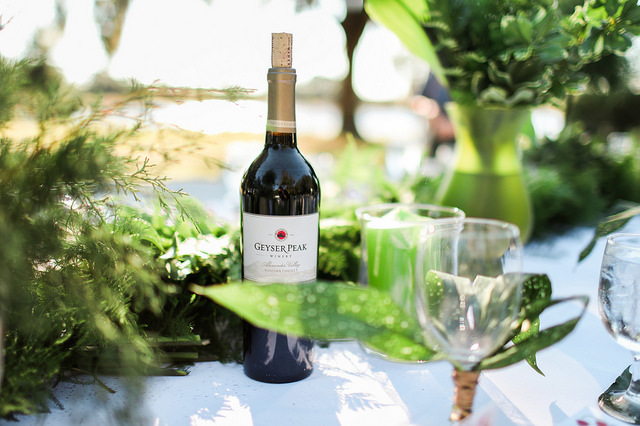 Guests enjoyed the bountiful wines of national sponsor, Geyser Peak Winery. Photo by Wings of Glory Photography. Microbrewery Persimmon Hollow Brewing Co. shared its craft beers, Geyser Peak Winery served up wine varietals and Copper Bottom Craft Distillery provided signature citrus cocktails featuring names with a nod to local ferns.